Today I’ll talk about the well-known drug called Generic Viagra. It is a perfect drug for the people who have sexual problems. 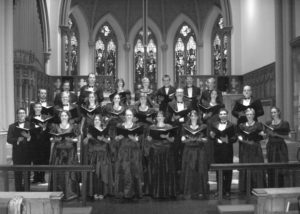 Founded in 1974, the Camerata is proud to be Western Pennsylvania’s longest standing professional vocal ensemble. It has evolved over the years, beginning as a small group of volunteers riding the “early music” wave of the 1970s. We continue to love early music, but now also explore new repertoire, venues and programmatic concepts. How did we get to be over forty years old? Throughout its history, the Camerata has enjoyed strong artistic leadership, talented singers and dedicated volunteers. University of Pittsburgh professor Arthur Wenk founded the ensemble, followed by Gayle Clark Kirkwood, who led it from 1987-1996. Rebecca Rollett took the helm in 1998 and directed the group into the 21st century and beyond, retiring in April 2016. Mark Anderson was appointed as Artistic Director in May 2016 and continues to guide, cajole and inspire the vocal ensemble and organization to new heights. Do you want to hear what a 40 plus year old ensemble sounds like? Return to the home page and listen!